I’ve written many posts about Derma e skincare and how well their products work as replacements for pricier products. I’ve been using the Derma e Anti-Wrinkle Glycolic Acid / Vitamin A Toner for quite a while now, and gradually I’ve started trying other products. In the meantime I’ve noticed the popularity of the brand begin to soar, especially in the past 6 months or so. There is good reason for this, as Derma e is offering high quality skincare, free of the ingredients I avoid, at a good price. 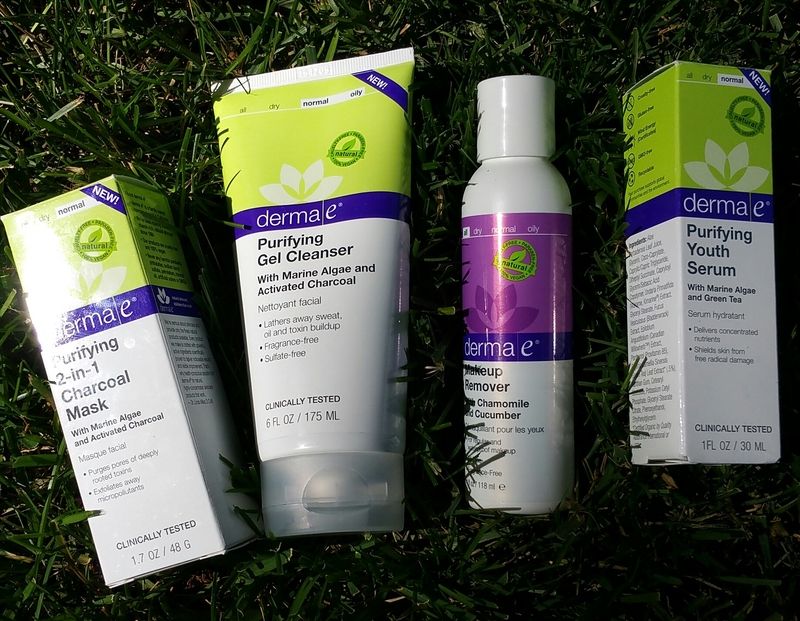 Recently I was so pleasantly surprised to get an awesome bunch of Derma e products in the mail, as promotional gifts. (I think I received them because of how much I already blabbed about their products. Getting this stuff only added to my love.) Out of the products I received, not a single one has been a disappointment to me. However, some have clearly stood out as favorites. When I try a new product I always have an initial gut reaction that I try to ignore because I want to give the product a chance to show me what it can do, or conversely, show me it didn’t do as much as I first thought it did. It becomes obvious over the course of a few weeks which products I am drawn to the most, because I take them out of my product storage repeatedly and they end up on my bathroom counter or in my shower. And by the way, I have a lot of skin care products and cosmetics. A lot of it is deluxe samples I get as GWPs, or that come in one of my many subscription boxes. So when I keep going back to just one product I know I really like it. That’s what happened with Derma e Purifying Gel Cleanser, Purifying Youth Serum, Purifying 2-in-1 Charcoal Mask, and Derma e Makeup Remover. Note that I already owned the Charcoal Mask when I received the Gel Cleanser, and I already loved the charcoal ingredient. Activated Charcoal is often used as a stomach remedy, when ingested in tablet form. It helps remove impurities and de-activate gas in your digestive system. It works the same way when used topically on your skin (minus the part about gas!). 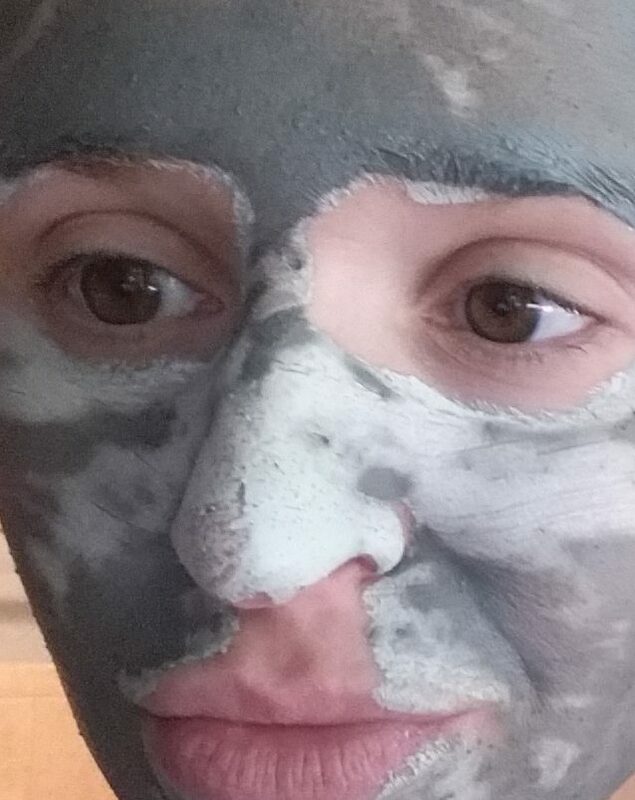 The Derma e Purifying 2-in-1 Charcoal Mask is very dark gray, like the color of charcoal. Yet I didn’t expect the Derma e Purifying Gel Cleanser, to be that color too. I admit, I was a bit taken aback by the color of the cleanser. Add to that the fact that it is not artificially fragranced, and I could almost believe I had raw seaweed on my face. But the Gel Cleanser is addictive because of how easily it fits into any skincare routine, and I started using it with my Foreo Luna device. I have used it twice a day ever since I received it. The cleanser is geared towards normal and oily skin types, however I have normal to dry skin and it seems made for me for this time of year. The cleanser is clean but not drying. It leaves my face feeler cleaner than it would from using Philosophy Purity Made Simple, which I have had in my house for the past 15 years. Purity is still an amazing cleanser (I even got my husband to use it), but I tend to get bored. Anyway, when the Derma e Purifying Gel Cleanser, is used with my Foreo Luna, it doesn’t lather up until I add some water. Then I feel like I am really getting the dirt and grime off of my face. 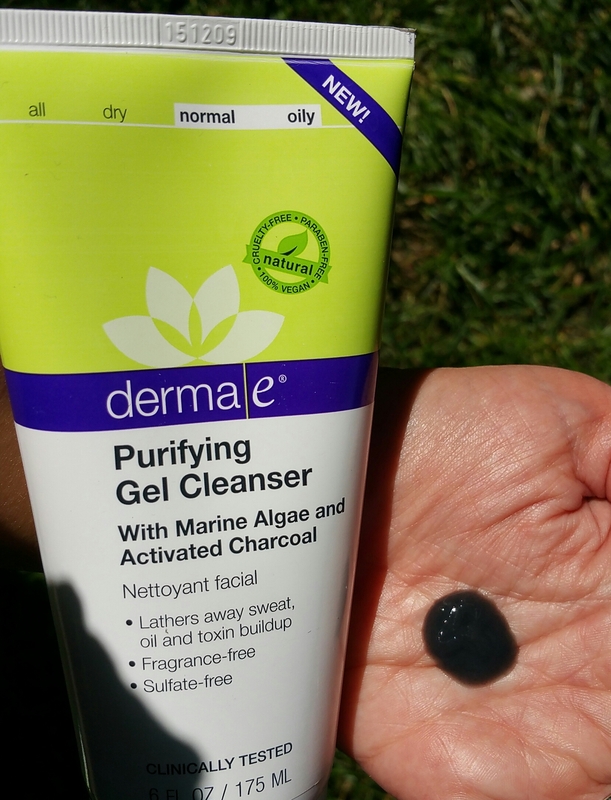 Thus, Derma e Purifying Gel Cleanser is my #1 recommendation for new summer cleansers. Derma e Makeup Remover isn’t part of the green “Purifying” line, but it’s perfect for summer because it’s a non-greasy gel makeup remover. It’s tough to find a makeup remover that isn’t oily. The oil-based ones have their place, like for stage makeup, but they blur my contact lenses and make it hard to re-apply eye makeup after a mess-up. So this clear gel makeup remover from Derma e is awesome. I like to squeeze it out on a cotton oval and use it all over my face as a pre-cleanse. The Purifying Youth Serum is yet another summer pick of mine, due to it’s lightweight consistency and lack of heavy fragrance. Actually, I should note that I am not aware of any perfumes in these 4 Derma e products, unlike in the Vitamin A / Glycolic Acid line, which smells like violets (which I happen to love). The Purifying Youth Serum works well for me during the daytime, when I really don’t want to be wearing an extra layer of something on my face before going out into the heat and humidity. I don’t feel like I have it on! Left to right: Derma e Purifying 2-in-1 Charcoal Mask, Purifying Gel Cleanser, Makeup Remover, and Purifying Youth Serum – summer picks! There are other products in the Purifying Line that I want to get my hands on, like the Daily Detox Scrub. Has anyone tried it? I think some lucky Ipsy Glambag subscribers received it this month, and I’m jealous! By the way, you can find Derma e on Derma e’s website (they have awesome promos and bundles), on Amazon.com, at Target, Sally’s Beauty, Whole Foods, and more! NEXT POST Next post: My June Target Clearance Hauls, and Drugstore Makeup Must-Haves for $3 or Less!